Bangkok Hospital Samui belongs is a branch of a network of 18 private hospitals all overThailand. 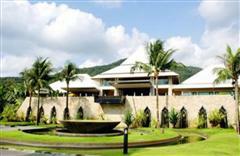 It is situated on the resort island of Koh Samui and offers a full range of medical facilities. The Bangkok Hospital group is one of the most advanced medical groups in Southeast Asia, featuring state-of-the-art technology and a full roster of well-trained employees. Cosmetic Surgeons and specialists are trained in the latest techniques and have often received their formal education in North America or Europe. The hospital’s up-to-date facilities include two modern operational theaters, a CT-64 slice, Ultrasound 4, a Hemodialysis unit,D and a fully-stocked blood bank. It also boasts Emergency and Trauma unit with well-equipped ambulances. Specialized clinics within the hospital include Neurosurgery, Cardiology, Psychiatry, Nephrology, Ear, Nose and Throat (ENT), Pediatrics, Obstetrics & Gynecology, Oncology, Orthopedics and Beauty Center. The inpatient department is equipped with six fully-equipped ICU beds. More than half of the patients at Bangkok Hospital Samui are foreigners, and among these only a small percentage are part of local expatriate communities. Most of the patients are enrolled in medical tourism packages. The staff is well-versed in medical tourism and can assist patients with paperwork, travel arrangements and even airport pickups.